The very first word I learned in Swedish was smörgåsbord. I learned it from my dad as a kid. The second word, skål (pronounced skol), I wouldn’t learn for another decade or so. We said it often while drinking beer out of coffee mugs in Ecuador. Skål means “cheers” and if you’re really gearing up for a big night you can say, “Skål ta mig fan,” which literally translates to “cheers! Let satan take me.” It doesn’t carry the weight of those words but it does show a certain conviction to the evening’s festivities. Look deeply into my eyes & let’s drink. Thirty friends, adorned in party hats, sat around a square shaped table along the perimeter of the barn. The cracking and slurping of crayfish an ongoing indicator that we were all working hard for another tender bite. The bellowing roar of mens’ voices took over as songs as old as vikings began to reverberate around the room. This is when I wish I could join in the most. My Swedish is still pretty limited to greetings and food items. At the end of the song, in unison, everyone yells, “SKÅL,” and takes down a cold syrupy snaps (aquavit). Traditionally, usually done with smaller groups, when someone announces “skål” the whole table stops, lifts their glasses and you look at each person in the eye in a confirmation of their presence. Then you drink and repeat, looking everyone in the eye again. 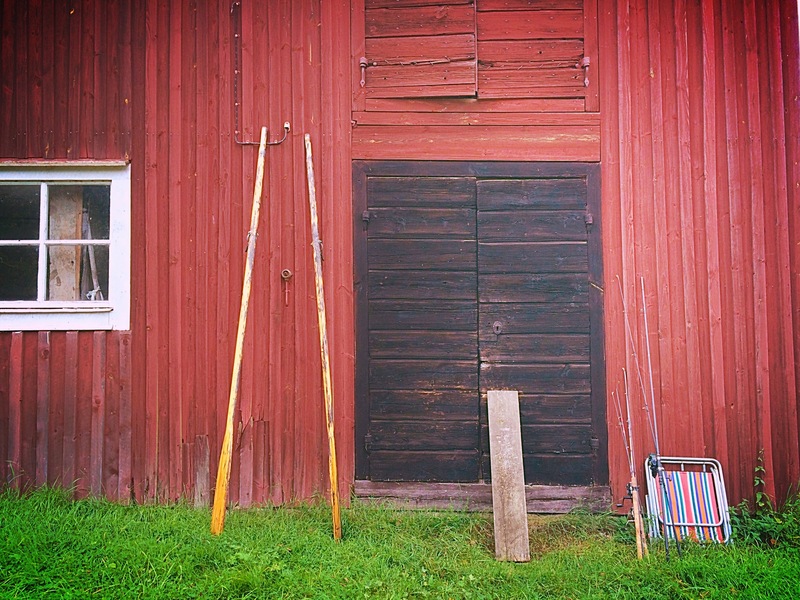 At first, I found this really uncomfortable, peering each person into the eyes while we “invite the devil to take us.” Ludde prepped me for this long before I was here, and with any cultural tradition you do over and over again, it quickly became natural. Now I quite enjoy it, a courteous acknowledgement for everyone that joins you at the table. 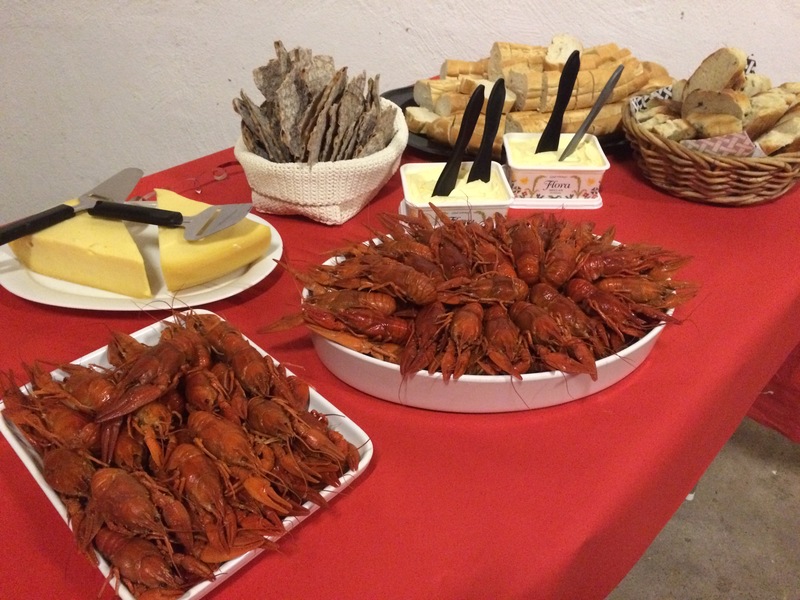 To ring out the summer, the kids of the Nilsson household (Ludde, his brother, Carl, Carl’s wife, Andrea, and myself) decided to throw a kräftor (crayfish) party. This is a most loved Swedish tradition but I had no idea how big of an ordeal it is. In prepartion for the party, Ludde and I planned to catch our own kräftor the weekend before. 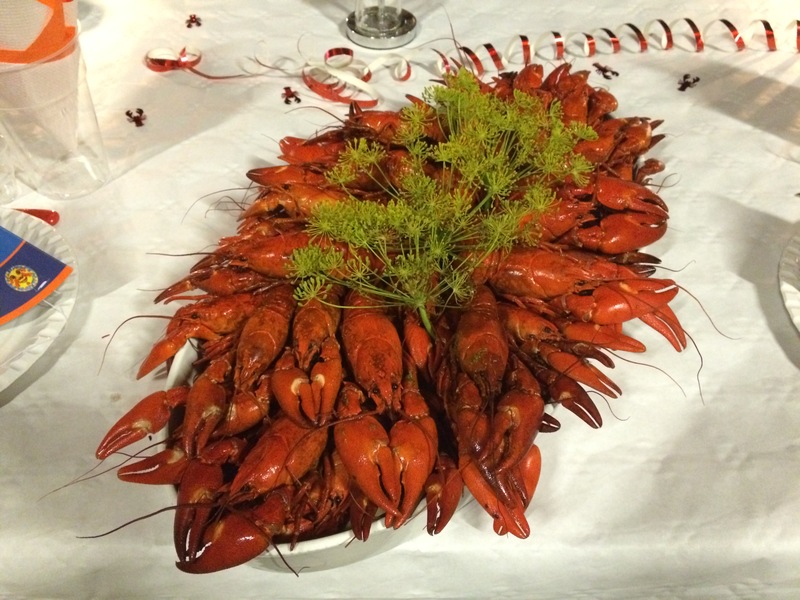 Most crayfish are flown in from China or Turkey, making Swedish crayfish a delicacy. 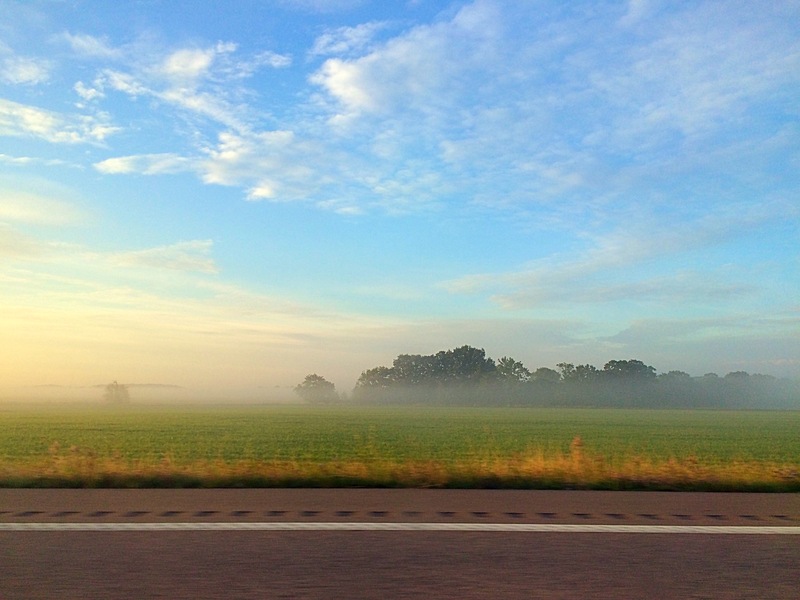 We hit the road on Friday morning and headed five hours north west to a province called Småland, 2 hours south of Stockholm. Ludde rents a modest cabin from a friend’s family, a stones throw away from Lake Lermon. Lakes are in plenty around this part of Sweden so there isn’t anything particularly special about Lake Lermon. What made it special was that no one else was on the lake but us. For the weekend it was ours. The cabin has no electricity or running water but has a wood burning stove and is decorated with charming Swedish esthetique. We first put out about 20 crayfish traps around the edge of the lake. 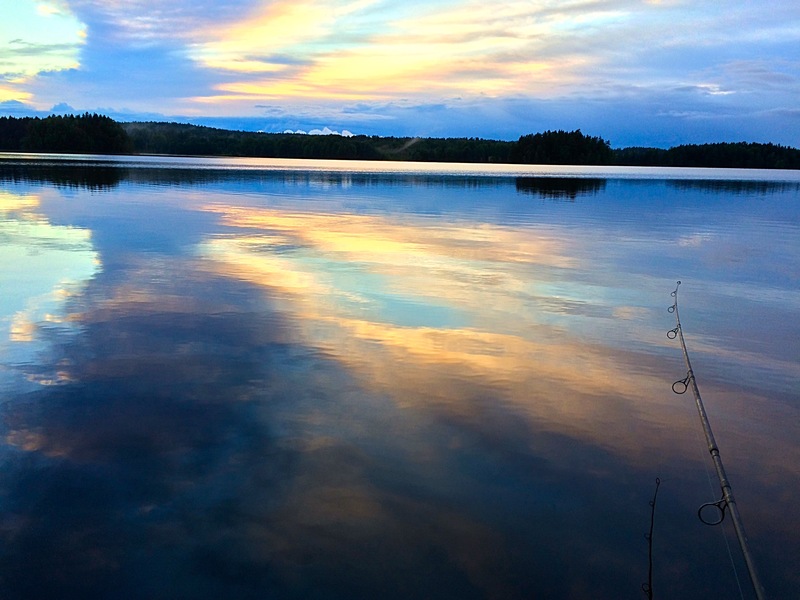 The rest of the weekend was spent foraging for chanterreles in the forest, fishing, checking the crayfish traps in the early morning (my favorite), skinny dipping in the lake, and cozy dinners by the fire. After two mornings of catching crayfish, we brought back a total of sixty. Some smaller than others and at least 10 had prized sized claws.We brought them back in a plastic box with small hole cutouts. Sunday evening we took the boat back to the mainland, packed up, left the the stillness and silence of the forest behind and made our way back down south. 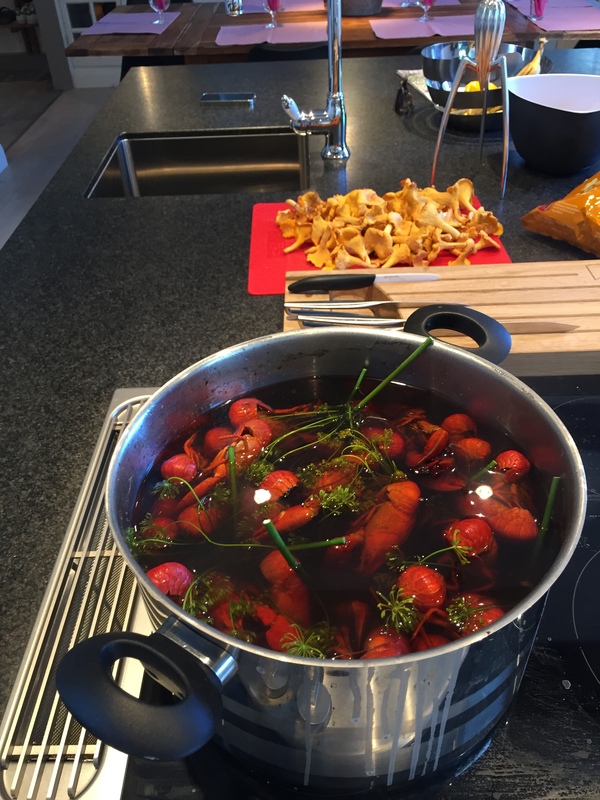 Once at Ludde’s parents farm, we boiled the crayfish for about 10 minutes with heaps of salt, beer and dill (a herb used daily here). Then we let them cool and put them in the freezer. The party preparation began the night before with cleaning the barn and a jam session for the boys. The next day we went to three different grocery stores to pick up decorations including streamers, hats, appropriate festive napkins, pies, and bread. We didn’t need more food than that because at these parties you only eat crayfish, bread, cheese and pie. Crayfish parties are like children’s birthday parties for adults. Guests often bring presents in the form of flowers, chocolates or booze for the hosts and there are decorations everywhere. Ludde explained to me that the hats serves as an icebreaker before the snaps begin. I’ll preface the following by saying I have been more than surprised about how open and friendly I have found Swedes to be. I was forewarned that they could be cold like the weather, and not because they aren’t friendly but because they are more shy, introspective people. I definitely have a shoe in being Ludde’s girlfriend, but everyone I have met through him has been very open, warm and friendly. It’s an amazing group of people to be welcomed into! I got very lucky. So let’s talk about “shame holes.” On a scale of 1 to 100, 1 being totally introverted and painfully shy, and 100 being completely uninhibited with no filter, overall, let’s say Americans are at about 50 throughout their normal day and Swedes are at 25. 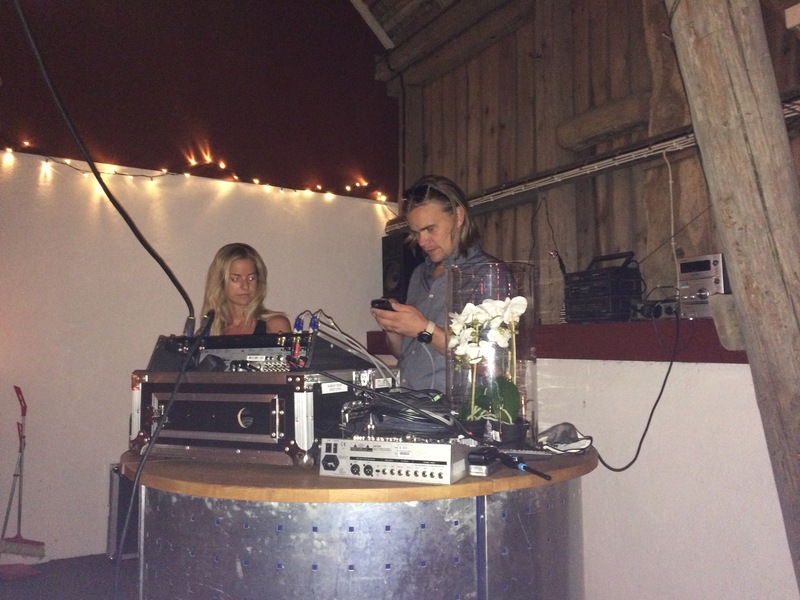 Once there is drinking involved, Swedes quickly catch up and if enough snaps ensue, they make their way to 100. Because they’ve jumped so much on the scale and let it all go the night before, they can experience what is called a “shame hole.” In this sense, alcohol and drinking are synonyms for socializing. Every couple of minutes, another voice rose up from the crowd. We dropped any crayfish we hand in hand, lifted our shots glasses, sang and drank. Eat, sing, skål, repeat. Wondering what these songs sound like? Here’s a short tidbit from the evening. The party was a success! The dining room turned into a dance floor and many enjoyed the the festivities until the wee hours of the morning. Swedes love a good night of drinking, especially on the weekends and even more so during the summer. Scandinavian countries are slowly adapting a more Southern European culture of drinking during the week. The idea of “happy hour” hasn’t been picked up yet unless it’s Friday. All alcohol is bought through a government run monopoly called, Systembolaget. It began in 1955 in an effort to control the consumption of alcohol. Because it is government run, they have control over what is sold and how it sold. They close early on Saturdays and aren’t open on Sundays. Nothing is served cold so that it is less likely to be served immediately. Alcohol is taxed up to 30% since it is a luxury and could inevitably weigh on society through increased healthcare visits. Many jump over the border to Germany to buy booze since it is usually a third or half of the price. There are organized party buses for the trip. Depending on the day of the week, you’ll find Swedes on varying ends of the spectrum. Kräftskivor are up there with Midsummer and Christmas in terms of epic celebrations. Another reason to love this country. 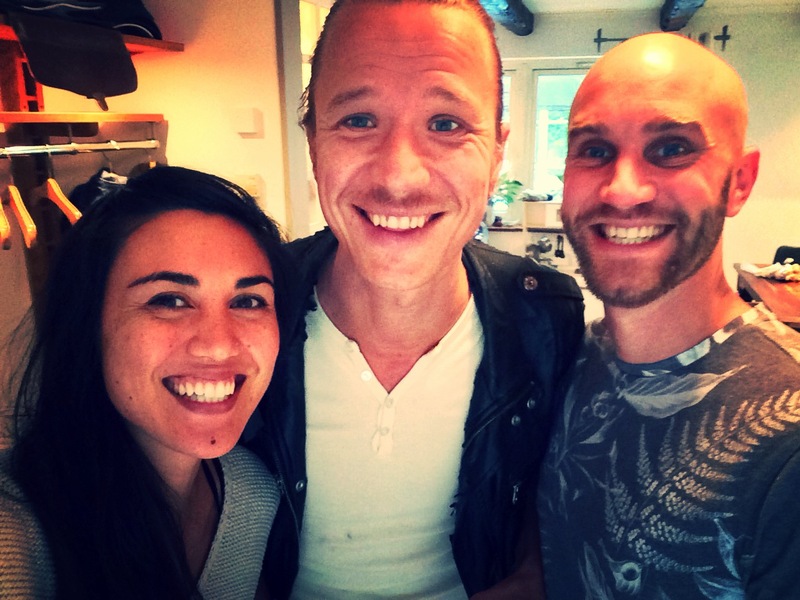 Thanks Stephanie, now we have a peek into your life in Sweden and understand better why you want to stay! Gorgeous photos!! Sk%l or cheers!